CantaMia is an ideal 55+ snowbird community tucked into the stunning scenic landscape of Goodyear, AZ. Heritage Palms is a guard-gated golf community which will appeal to a wide range of snowbirds with its diverse homes and fabulous amenities. Warm winters provide the perfect weather for outdoor recreations, such as golf, tennis, bocce ball, swimming or just enjoying mountain views from the gorgeous grounds. The spacious clubhouse also offers hobby and game rooms, including an arts and crafts studio and a woodworking shop. Coral Lakes is an affordable gated community just minutes from Southeast Florida’s ocean shore. Though the community has just 365 homes, its 72,000 square-foot clubhouse features many of the amenities found in larger communities. Resident snowbirds will enjoy indoor and outdoor swimming pools, a fitness center, hobby and game rooms, tennis courts, a 600-seat theater, an on-site cafe and much more. Solera at Anthem is a smaller Del Webb community which contains around 1,822 homes. Yet, its 24,000 square-foot clubhouse offers amenities such as a fitness center, indoor pool, library and sports courts for tennis and bocce ball. Solera’s affordable homes include both single-family and attached home designs, giving snowbirds many options for comfortable, low-maintenance living. Though Rapallo at Coconut Point doesn’t have an age restriction, it is a prime tropical retreat for wintering snowbirds. 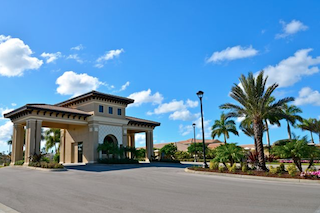 This gated community is set within the larger Coconut Point community which has over 160 shops and restaurants, as well as its own healthcare facilities. Within the Rapallo enclave, residents enjoy a resort-style clubhouse with a fitness center, restaurant, arts and learning center, swimming pools, tennis courts and botanical gardens. With mountain vistas and rolling green hills, CantaMia is a new community which provides snowbirds with a tranquil winter retreat. Activity within the gated community is centered around the spacious clubhouse which opened in March 2011. Here, residents find a state-of-the-art fitness center, an arts and crafts studio, a demonstration kitchen, an Internet cafe, a learning center, and both indoor and outdoor swimming pools. 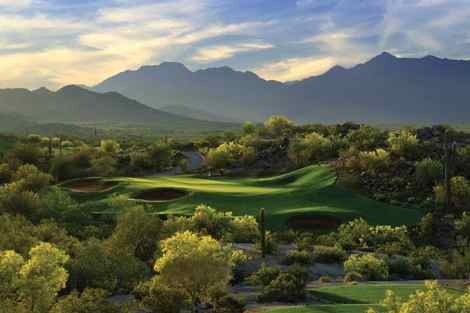 Just 20 miles north of Downtown Tucson, Sun City Oro Valley welcomes snowbirds with mountain views, challenging golf and affordable homes. Community amenities are spread across three spacious clubhouses, including a fitness center, hobby and game rooms, and swimming pools. Resident artists enjoy studios designed for a variety of arts and crafts, such as ceramics, lapidary, photography, stained glass and woodworking. Sports courts also keep residents active with pastimes including tennis, pickleball, bocce ball, shuffleboard, racquetball, basketball and horseshoes. Marbella Lakes is popular among Florida snowbirds thanks to its private entry and luxury amenities. Built between 2009 and 2012, Marbella Lakes is one of the most popular destinations in the Naples area. This gated community is open to all ages, but retired snowbirds will particularly enjoy the spacious clubhouse and exciting resort-style amenities. Diverse residences include both single-family and attached carriage homes, with floor plans in sizes to meet the needs of many different homebuyers. Set in the heart of the Coachella Valley, Villa Portofino greets resident snowbirds with Mediterranean architecture and lush native landscaping. The community’s affordable, maintenance-free single-family houses make ideal second homes, and the 30,000 square-foot clubhouse provides a wide range of amenities. Residents can enjoy features including an on-site restaurant, a state-of-the-art fitness center, hobby and game rooms and an outdoor swimming pool. With 1,096 condos and attached villas, Huntington Pointe is an ideal destination for snowbirds who want affordable, low-maintenance living. The 50,000 square-foot clubhouse also provides a wide range of activities, including dances, theatre performances, variety shows, movie screenings, art classes and special interest club meetings. The fitness center offers several exercise classes and the amenities continue outdoors with swimming pools, tennis courts, shuffleboard and a putting green. The gated Province community offers scenic living with a 50-acre lake and over 30 percent of its grounds dedicated to parks and open spaces. After the initial developer filed for bankruptcy, the community was acquired by Meritage Homes in 2009. This has led to a variety of affordable new and resale homes in both single-family and attached designs. Province also offers a fabulous 32,000 square-foot clubhouse with a wide range of resort-style amenities.